Traveling to different places can be a hassle sometimes. From my personal experience, the best memories I've had are the ones that are spontaneous. 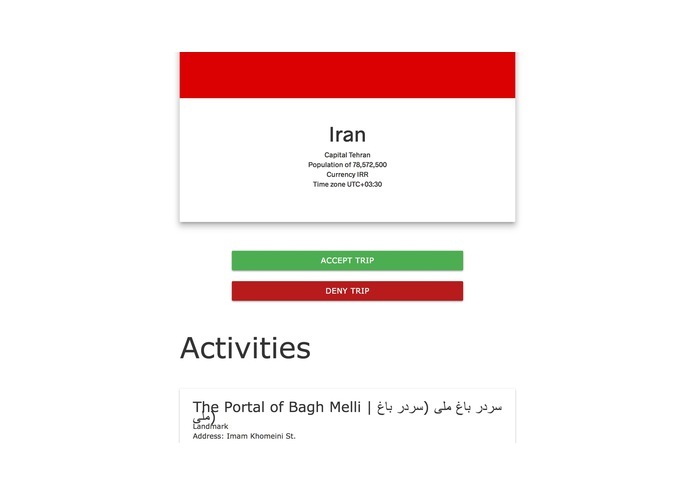 We wanted to create a web-application that would encourage others to acquire these memories in spontaneous trips, so we created a web app to lead you anywhere in the world. 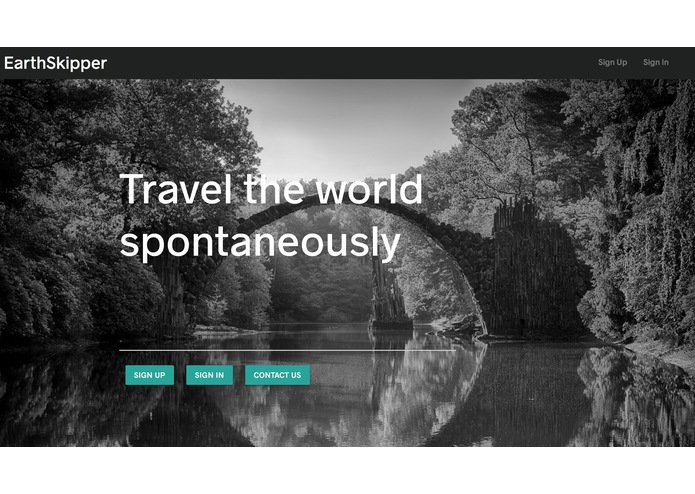 EarthSkipper lets you create a traveler profile, where you can keep track of what countries you've traveled to and what countries you still have to visit. The platform will reward you with badges and share with others where you have traveled. It also stores up to four photos per trip with unlimited trips. It also provides you with a clean interface to keep trace of your visited and unvisited countries. 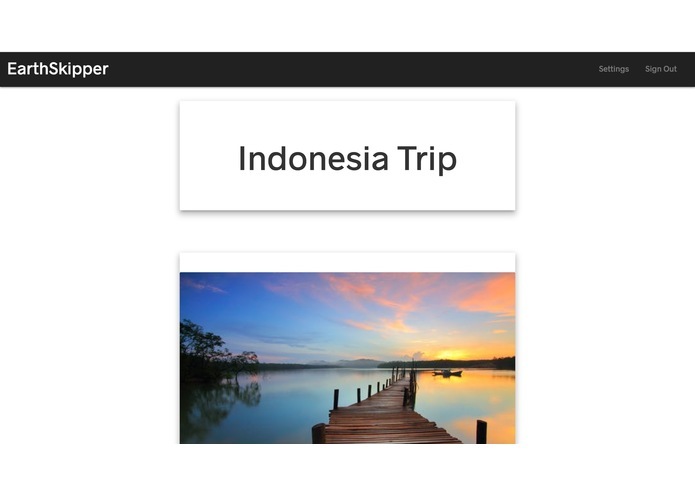 EarthSkipper will also generate a random trip suggestion for you, anywhere in the world, with activities and trip information. 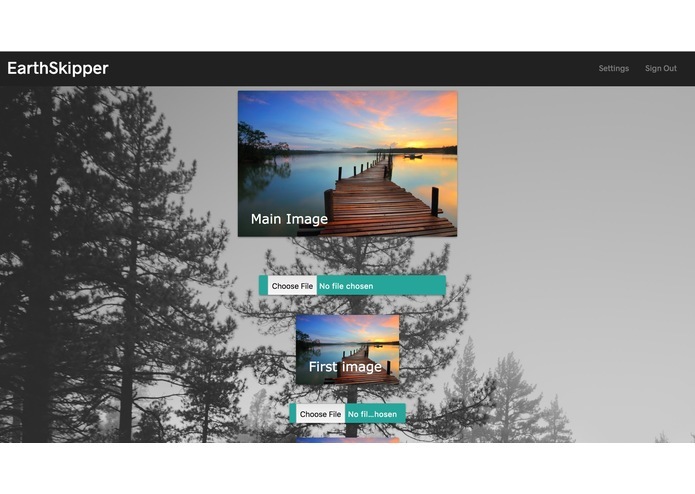 We developed our API and web application using Rails and Ruby. Moreover, we employed other APIs (Foursquare and Geolocator) along with Heroku (deployment) and Amazon S3 (storage). We struggled to find good free location APIs and we dealt with countless bugs. We finished most of our project at our first hackathon ever. We also learned a lot of rails and css styling techniques. It's better to be conservative with planning and build on what you have than have a big idea and burn out. Building a social media platform where people can show their coolest moments using our app.